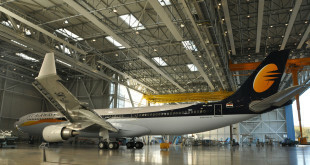 Last week, Mumbai based full service carrier Jet Airways announced that it had recorded a net loss of Rs. 267.89 Crore for the third quarter of fiscal year 2013/14 (FY13/14) or a net pre-tax loss of Rs. 27.12 per diluted share. The result reflects a reversal from a Rs. 85.0 Crore net pretax profit of Rs. 91.78 Crore (Rs. 9.85 per share) during the same period a year prior. Operating revenues rose 7.8% year-over-year (YOY) to Rs. 4535.87 Crore from Rs. 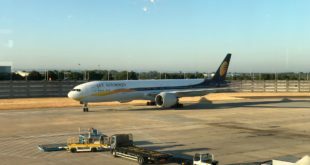 4205.77 Crore as the carrier began to see the benefits of its partnership with Etihad Airways, as well as capacity moderation in the Indian aviation market take root. The carrier also reported “Other Income” of Rs. 167.46 Crore, up 268.4% YOY. Segment-wise, domestic operating revenue grew 5.0% YOY to Rs.1822.26 Crore, while international segment revenue grew a more robust 10.0% YOY to Rs. 2622.32 Crore. The international results are partly skewed however, by the depreciation of the Rupee YOY of 12.34%. On a unit basis, ASKs grew 7.3% YOY, while revenue per ASK (RASK) grew 0.4% to Rs. 3.77. Overall cost per ASK (CASK) increased a disturbing 15.3% YOY. International unit revenues climbed a healthy 4.3% to Rs. 3.20 which was offset by a 16.6% rise in cost per available seat kilometer (CASK) to Rs. 3.38. Meanwhile domestic RASK fell 4.8% YOY to Rs. 4.82, a decline exacerbated by a 12.8% increase in CASK to Rs. 5.60. Operating margin came in at -5.9% versus 8.0% the year prior, reflecting an operating loss of Rs. 226.21 Crore versus an operating profit of Rs. 335.61 Crore in the third quarter of FY 12/13. The latter 8.0% actually compares favorably with several of the world’s most profitable airlines such as Delta Air Lines or Japan Airlines, and illustrates the fact that investment from Etihad and a restructuring of Jet Airways’ international operations have not been able to prevent the carrier’s financial slide. Domestic operations swung from a Rs. 10.5 Crore pretax profit in Q3 of FY 12/13 to a Rs. 259.7 Crore net loss in Q3 of FY 13/14. Meanwhile, international operations suffered a similar swing from a Rs. 81.3 Crore net profit to a Rs. 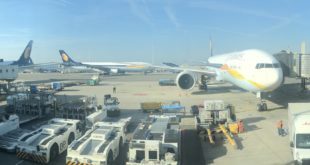 8.2 Crore net loss, however the restructuring efforts centered on feeding Etihad’s hub in Abu Dhabi appear to have softened the revenue pressure faced by Jet. Additionally, most of the aircraft on ground costs are accrued on international operations which skews the results to the tune of roughly Rs. 200 Crore. Still, the Jetihad partnership appears to have paid some dividends. The carrier’s net debt has declined from Rs. 12,494.7 Crore to Rs. 10,895.2 Crore thanks to the equity infusion from Etihad, and for all of the hand-wringing over the strategic impact of the deal, it is important to keep in mind the benefits to shareholders.